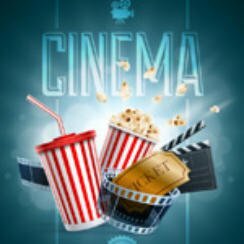 Popcorn Cinema Show takes a look at the weeks new movie releases (November 6 2015) for the UK, US, Australia and New Zealand at the cinema, plus all the weeks film news. So Spectre releases this week in the US and the UK cinemas have largely been given over to Mr Bond meaning Scout’s Guide to the Zombie Apocalypse is the only other release of note. The new James Bond film SPECTRE breaks the UK Box office records by taking over £41 million ($63m) in it’s first weekend. So it turns out the lost 1928 Disney film Sleigh Bells which features Oswald the Lucky Rabbit has been found in the British Film Institue (BFI) archives. They are planning to anounce when they will be screening this lost gem. Love films then check out our Day of Anger Blu-ray review! So there are your movie releases this week, SPECTRE is the film to watch in our opinion if you are in the US, whilst in the UK you only have Scout’s Guide to the Zombie Apocalypse coming out as Bond quite rightly dominates the cinema.